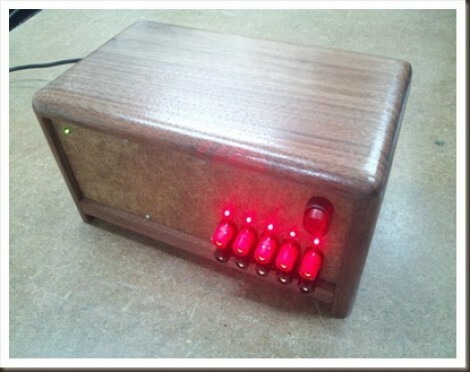 Flammable materials do not belong near a bench power supply enclosure. Kudos to the maker on the build quality… it looks really sharp and your process documentation is great!!! “safely” operate using lead based gas, a lack of seatbelts, no ABS, no gas gauges, no traction control, no crumple zones, poorly designed gas tanks that catch fire, etc but that doesn’t mean cars from 100 years ago are still good designs. A wood enclosure looks good but is a bad design choice in close proximity to a switch mode power supply (especially a cheap one) in my opinion. YMMV. I wouldn’t use the wood as a heat sink, but I wouldn’t consider it flammable. I would consider the pile of dust accumulated in the average computers and power supplies more flammable. I would suspect that it would probably char and stink like wood burning way before it burst into flames. If it was that flammable I wouldn’t have to use lighter fluid on my grill. Now I wouldn’t want to be the little piggy that built it out of straw either. After actually reading the article and seeing that he left the power supply electronics inside the original metal case and mounted that inside the box, I have absolutely no reserve about this at all. I see it no more problematic than my power supply sitting on my wooden desk. If you’re that paranoid about wood, I hope you live in a rock house. Yep those autos were perfectly safe it’s the idiot behind the wheel that makes them dangerous. The power supply is in a metal case (the one it came in). With wires running to the cover, it is not that much different than your home. Do you live in a metal framed home with no wood or flammable materials? Because your home likely has 110V and even 220V wires stapled to wood framing, you better get out, because it may burn down. Is it the way I would have built it? No. Is it half as dangerous as you make it out to be? No. Is it the makers choice? Yes. This is Hack a Day, most of the stuff you find here is dangerous. Overall this is pretty darn safe. I have seen a lot more dangerous things here. Don’t be dissing on wood dude. Ask a firefighter about wooden beams vs steel trusses one day. Is the title a batman joke? Wait, the breakout board allow only for 1.25 amp ? The lack of fuse isn’t his concern (if I understand correctly) it’s the huge waste of the potential power, sure very little is actually wasted but why use a atx supply when a simple 2A wall plug would do the same thing? Unfortunately, I jumped the gun a little when I saw the breakout board advertised at Dangerous Prototypes and overlooked that little “feature”… I’ll be replacing the polyfuses with something that can carry a bit more current in the near future. What seams really strange to me is that nobody yet found that there are ATX PSUs designed for server chasis (eg. 1U) on the market. These can be like quarter size of traditional PC PSUs while having same functionality and approximately same power. I don’t think many specifically buy ATX PSUs to use as bench power supplies, most use salvaged hardware. You could get a real bench power supply for little more than what new ATX PSUs can cost. That’s exactly how this project got started. The only parts I bought specifically for this project was the ATX Breakout Board ($13). The PSU came from an old unused computer and the rest were project leftovers. I like the idea of a 1U, though. If I happen across one, I may look into replacing the one that’s in there with it since I need a little more room in the box for some other features I’d like to add. I think that servers can be recycled exactly the same way as PCs :-) just ask your local IT guy, ebay or e-trash junkyard. What local what? Nothing around these parts but crickets. Population density less than 40 per square mile where I live. I guess that makes me the local IT guy? If I want a used machine it’ll be me that used it. 1U servers have insanely loud fans in them, whereas a full ATX one will normally have something like a 120mm one on the side of it going really slow till needed, so are effectively silent compared to most other noise sources in a workshop. Problem with those small 1U PSUs is cost and heat. A new purchase will be much higher than a normal ATX unit. Also they are meant to be in a large airflow, servers have no requirement to be quiet so have loads of small fans blowing through them like a hurricane, I certainly wouldn’t like that on my desk. It is a nice wooden case. I never go so crazy finishing the boxes I make for my electronics projects. I save my fine finishing for regular woodworking projects. As long as parts are contained and protected I’m good with it. Sometimes I use gutted PC PSU cases as project boxes in fact. I wouldn’t worry about the wood box catching fire either. That is just foolishness. I kind of like how bare ATX supplies look myself. I use them as project boxes a lot. I suppose with a paint job an ATX PSU could look better though. Not “all that advanced” he writes? What’s it take – dovetail joinery? I think you should start selling them; w/ options for acrylic or aluminum front/rear panels. Thanks. But, with the time that goes into even a project this small there’s no way to ever charge a fair price that many would pay. The best I can do w/o some persuasion is post as many details as I can so that others can enjoying making their own as I did. Use that empty space to store the power cable. What is it with dovetail joints that everyone thinks they’re the pinnacle of wood joinery? Forget your options for a moment and say what you think a case like that could be sold for? I did some rough calculations and I’ve come up with a number for what would be economically sustainable. I don’t think the market would go that high. So I’m curious what you think the price should be. It’s a good idea to use break-out board, but then you don’t have too much amps. why is everyone purchasing breakoutboards worth more then the PS? i mean a used ATX supply goes for 5$ maybe 10$. your spending more money on something then its worth. you REEEALLY do not need it. why is everyone always so damm scared to cut the whole damm connector off the thing? i mean it WAS garbage! people dont pick broken TVs worth 50$ and pay 75$ to get them professionally fixed!?!?!? wont be useful for your (future-new) computer in two years. That look like a really good job, mine would be as rough as hell. I like the led’s and the knobs, looks like it was made in the fifties! !